Summer is upon us — why not make a trip to George, Washington (yes, that’s an actual place), or East Rutherford, New Jersey? By June, even the small city of Manchester, Tennessee, will be a go-to destination. As random as these places may seem, they are music meccas: home to iconic summertime festivals. 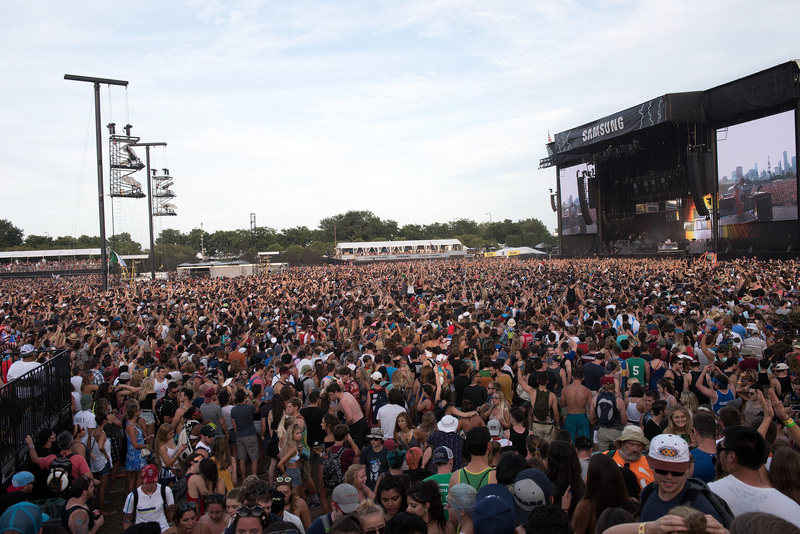 The official start to summer isn’t until June 21, but while festival season spans nearly six months of the year (bookended by Coachella in mid-April and Made in America in early September), summer is the peak fest time. Jazz, hip-hop, old-school R&B, trap music — there’s a festival lineup of musical artists out there for everyone. Be careful, though. Lineups and locations can be deceiving. If there’s one thing we’ve learned early on this season, it’s to resist attending a festival organized by Billy McFarland and Ja Rule. The recent debut of the inaugural Fyre Festival was an utter disaster. 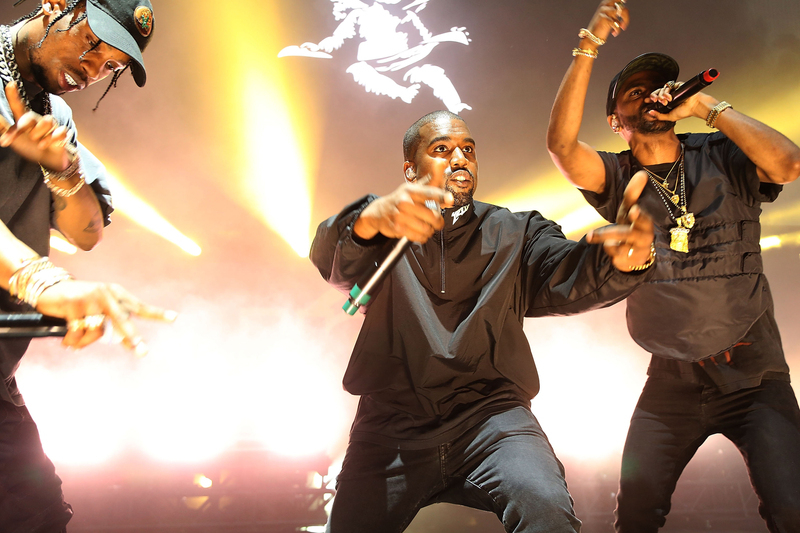 It began with so much promise: There was a dope lineup of artists, featuring Kanye West’s G.O.O.D. Music, Rae Sremmurd, Migos and Lil Yachty, and the location was the Bahamas’ Great Exuma (which has an interesting historical connection to America). The festival now faces a $100 million lawsuit. Fyre, though, is an exception to the rule. Festivals reign supreme come this time of year, and summer 2017 has much to offer. Below are the festivals that should be on your radar as we wind up basketball season, head deep into Major League Baseball and WNBA, and prep for NFL preseason. Usher, Black Thought and Questlove perform with Usher & The Roots during the 2017 New Orleans Jazz & Heritage Festival at Fair Grounds Race Course on April 29, 2017 in New Orleans, Louisiana. Happening right now in the Big Easy, the New Orleans Jazz & Heritage Festival is blessing people with an all-star lineup that specializes in feel-good sounds. There’s the legend Stevie Wonder and the O.G. Snoop Dogg. There’s the sweet-singing Patti Labelle (hope she brought some of her pies) and the Grammy Award-winning blues rock collective Alabama Shakes. 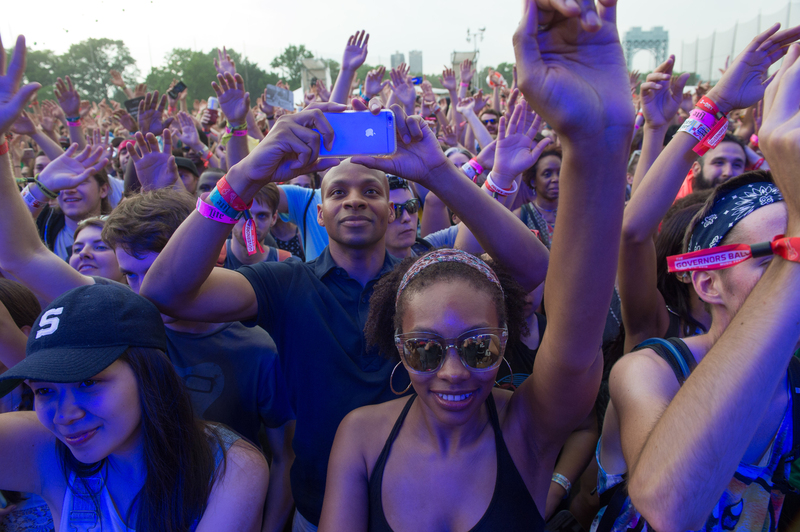 Boomers and Gen X-ers from far and wide get to two-step to Maze and Frankie Beverly’s “Before I Let Go,” while hip-hop preservationists get to witness Nas float through tracks from his 1994 Illmatic. But the one set in particular to circle in red ink? 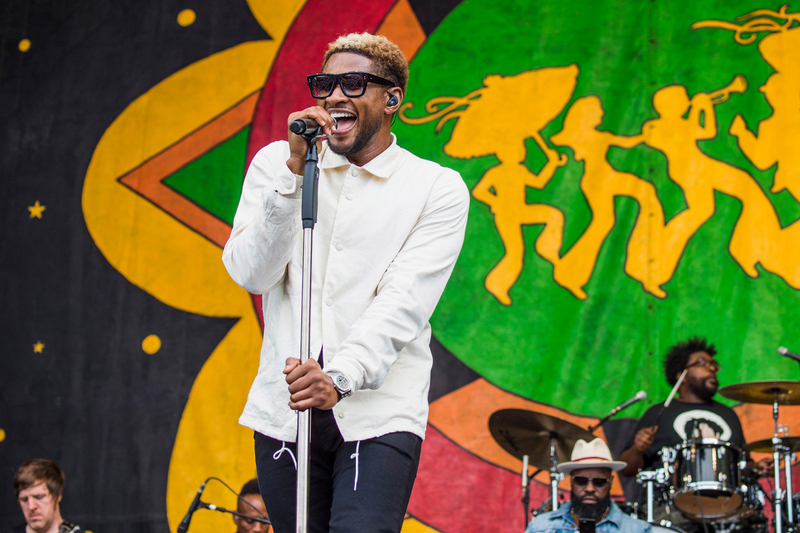 Usher performing with The Roots. Imagine Questlove on the hi-hat cymbals of “You Make Me Wanna.” Lord, give us strength. Do I go see Future at 9 p.m. on one stage, or Travis Scott on the other stage at 9:30? Do I go see Kendrick Lamar at 10, or Young Thug at 10:30? These are the unfathomable questions that festivalgoers will ask themselves at Rolling Loud — which is the best hip-hop festival lineup since the Rock The Bells days of the mid-2000s. Rolling Loud has come a long way since its debut as a one-day show in 2015 with Schoolboy Q as the headliner. In 2016, it was a three-day event with Future leading the pack. This year’s lineup, though? Kendrick Lamar, Future, Lil Wayne, A$AP Rocky, Travis Scott, Young Thug … the fact that Migos is on the fifth line of the bill is mind-boggling. 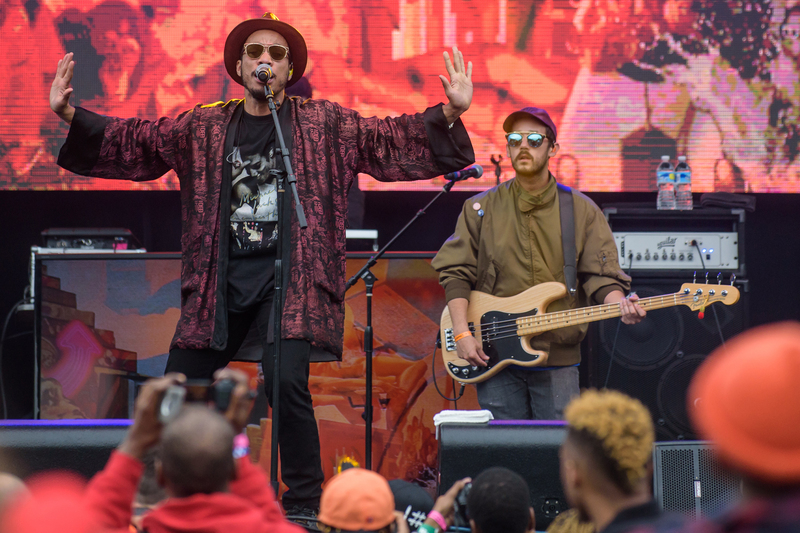 Broccoli City Festival — Washington, D.C.
Anderson .Paak and the Free Nationals perform on the main stage at the 2016 Broccoli City Festival. In the backyard of the country’s 45th president will be a unique display of unapologetic and green-living blackness: Broccoli City. The festival boasts brothers Swae Lee and Slim Jxmmi, who form Tupelo, Mississippi’s, own rock star rap duo known as Rae Sremmurd — the geniuses behind the 2016 megahit “Black Beatles.” The young phenom 21 Savage will be out there “trappin’ so hard,” and headlining the show will be Solange, fresh off winning her first Grammy for “Cranes in the Sky,” the lead track from her No. 1 album A Seat at the Table. Remember, don’t touch Solange’s hair. Don’t touch Lil Yachty’s either. He’ll be taking the stage at Broccoli City, too, swinging his red-beaded braids. Lil Wayne hasn’t released an album in almost two years, but people still love Weezy, and they’ll be there to see him break out his deep catalog of hits at the Powerhouse, hosted by Los Angeles’ Power 106 FM. Wayne will be joined by Detroit’s own Big Sean and the king of the summer anthem himself, DJ Khaled, who recently dropped “I’m The One,” the first single from his highly anticipated album Grateful. And with Khaled set to take the stage, you gotta wonder: Which surprise guests will he bring along? (Insert eyes emoji) Hope his 6-month-old son and executive producer, Asahd, is one of them. 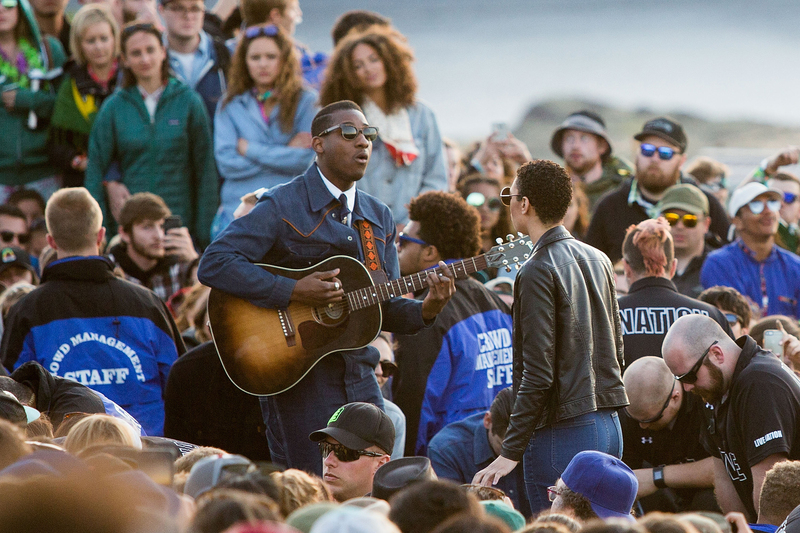 Leon Bridges plays an acoustic pop-up show at the Sasquatch Music Festival at the Gorge Amphitheatre on May 29, 2016 in George, Washington. 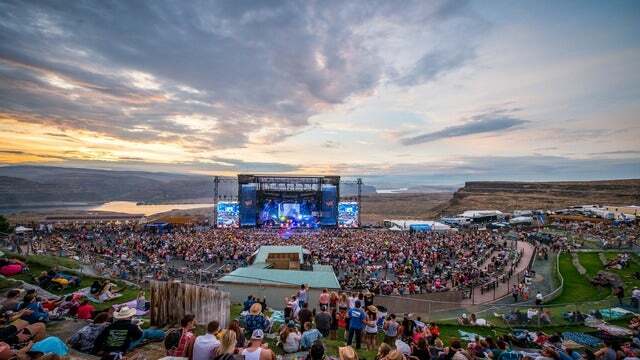 What better way to celebrate Memorial Day Weekend than with Frank Ocean and Chance The Rapper at one of the most beautiful venues in the country? The Sasquatch! Festival, which launched in 2002, is bringing both for the three-day festival. Ocean headlines Day 1, and Chance closes out Day 3. These two artists became musical gods last summer, with Ocean dropping his first album in four years, and then another album days later, and Chance releasing a Grammy Award-winning mixtape. Both deserve to be on that stage as the last act of the night. Spoiler alert: This won’t be the last time you see Chance’s name on this list. Spoiler alert: This won’t be the last time you see Chance’s name on this list. Fans react as De La Soul performs at the Governors Ball Music Festival, June 4, 2016 in New York. Another Chance The Rapper festival appearance? Yup, another Chance The Rapper festival appearance. Can’t knock the hustle, and what’s so crazy is, while he’s hitting all these festivals, he’ll be in the thick of his own nationwide spring tour. In New York City, he’ll tee up an epic weekend of music. To be honest, the roster for Day 2 rivals the depth of the Golden State Warriors: YG, A$AP Ferg, Rae Sremmurd, Wu-Tang Clan and Childish Gambino. Sheesh. If you have to pick just one day to go, Saturday is your day. 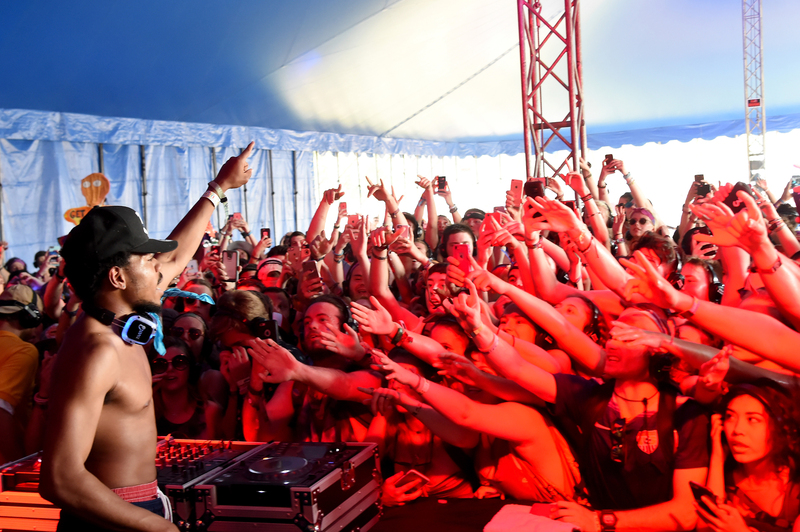 Recording artist Chance The Rapper performs onstage at Silent Disco during Day 4 of the 2016 Bonnaroo Arts And Music Festival on June 9, 2016 in Manchester, Tennessee. The city of Manchester, Tennessee’s, population of approximately 10,100 balloons by tens of thousands when the masses flock to the fields and stages of Bonnaroo, where the wide range of performers include U2, the Red Hot Chili Peppers, The Weeknd, Travis Scott and D.R.A.M. And, yes, Chance The Rapper will be at Bonnaroo. His festival appearance tally is up to three. Travis Scott, Kanye West and Big Sean perform at the 2016 Hot 97 Summer Jam at MetLife Stadium on June 5, 2016 in East Rutherford, New Jersey. Summer Jam is an institution. Since 1994, the New York City radio station Hot 97 has preserved the sanctity of the hip-hop genre and black musical culture by hosting artists such as The Notorious B.I.G., Mary J. Blige, Aaliyah, Big Pun, Missy Elliott, 50 Cent, Eminem, Kanye West, Lil Wayne, Drake, Nicki Minaj, Kendrick Lamar, Jay Z — let’s just stop there, because we could be here all day listing names. Chris Brown, Fat Joe and Remy Ma, Migos and DJ Khaled “& friends,” as noted on the lineup, are among 2017’s crop. One of the most special sets of the show will certainly be delivered by Faith Evans. It’s been exactly 20 years since her husband, The Notorious B.I.G., was murdered in Los Angeles in 1997. She’ll likely perform songs from her new album, which features the slain rapper. Will there be a hologram? R.I.P., B.I.G. Scrolling through the lineup page of 2017 Summerfest, it’s hard to get past a row without discovering another bomb artist who’s scheduled to perform. Ironically, Summerfest has the most diverse bill of any festival this year. The main amphitheater features Paul Simon, Pink, The Chainsmokers, Future, Big Sean, Migos, Willie Nelson, Bob Dylan and Sheryl Crow. (How much you want to bet Willie Nelson and the Migos blow an L together?) But don’t sleep on the ground-stage performers, who include Alessia Cara, Steve Aoki, Ziggy Marley, T-Pain, BJ The Chicago Kid and more. Ironically, Milwaukee’s Summerfest has the most diverse bill of any festival this year. 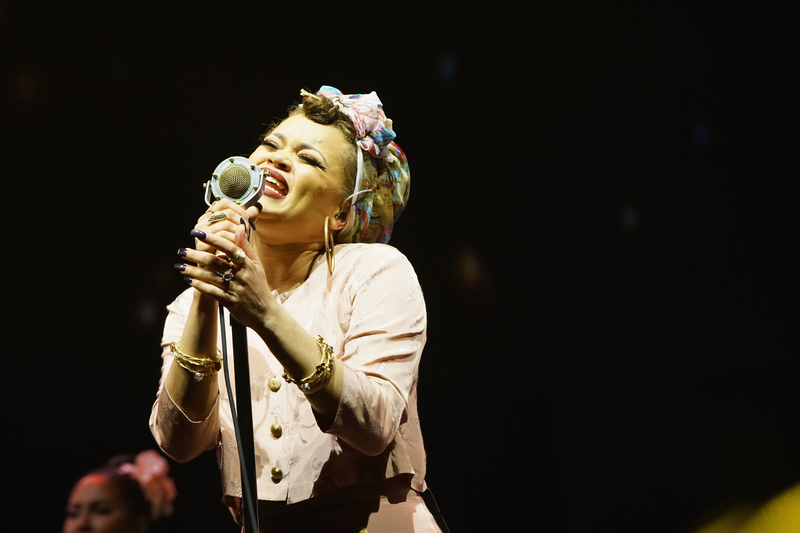 Singer Andra Day performs onstage at 2016 ESSENCE Festival Presented by Coca Cola at the Louisiana Superdome on July 3, 2016 in New Orleans, Louisiana. Still looking for a Mother’s Day gift for your mama, aunt or granny that you will enjoy as well? Go ahead and cop those ESSENCE Festival tickets. They’ll love you forever, because this lineup is LOADED. Three generations of #BlackGirlMagic will take the stage in the form of Diana Ross, Mary J. Blige and Solange. If that isn’t enough R&B for you, John Legend, Chaka Khan, Jill Scott, India.Arie and Monica all have you covered. New Orleans hometown hero Master P will also be performing. Oh, and Chance The Rapper will be there (that’s four festivals and counting). There is nothing in the history of this universe that could be more fun than a five-day cruise from Miami to the Bahamas featuring performances from Future, Lil Wayne, A$AP Rocky and Migos, hosted by none other than DJ Khaled. If you haven’t booked yet, congratulations, you played yourself. Don’t worry, though, DJ Khaled’s Snapchat stories will keep you in the loop — and in the process give you the worst fear of missing out you’ve ever had. A general view of crowds watching Flume perform on the Samsung stage during Lollapalooza at Grant Park on July 31, 2016 in Chicago, Illinois. Lil Chano from 79th is coming home. After winning three Grammys and embarking upon a cross-country tour (with multiple festival appearances in between), Chance The Rapper is returning to his hometown of Chicago in August as one of the headliners of the four-day, jam-packed Lollapalooza festival. Chance has to bring out former President Barack Obama during his Saturday set. The two saints of Chicago dancing together onstage would be nothing short of legendary. 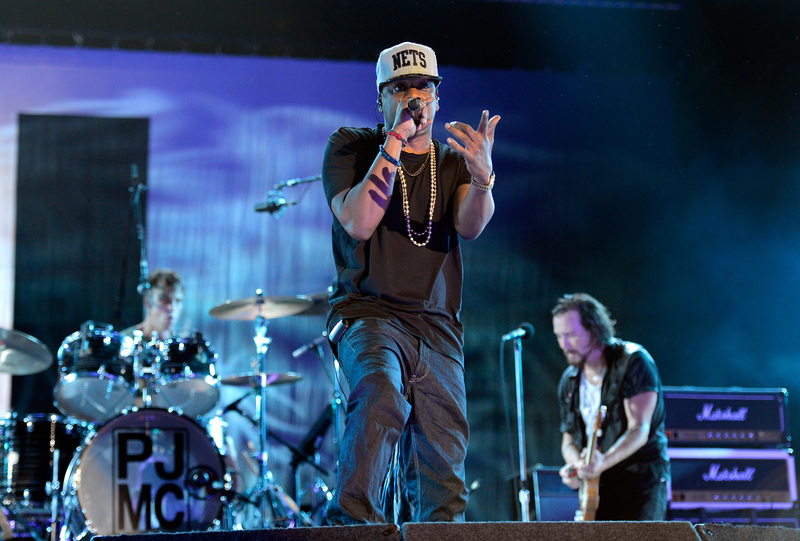 Jay-Z performs with Pearl Jam during Budweiser Made In America Festival Benefiting The United Way – Day 2 at Benjamin Franklin Parkway on September 2, 2012 in Philadelphia, Pennsylvania. The finale of festival season couldn’t feature two better top performers. A mentor and mentee. Mr. Miyagi and Daniel Son. One of the greatest of all time in American music and one of the leaders of its new school. Jay Z and J. Cole are the marquee names of this year’s anticipated weekend, with Hov headlining after the warmup from Cole. With Jay’s sister-in-law Solange also on the bill, Made in America 2017 will be all about keeping the family close and fans screaming.